A stock assessment conducted by scientists in the fall revealed striped bass, also known as rockfish, are in jeopardy in Virginia and all along the East Coast. 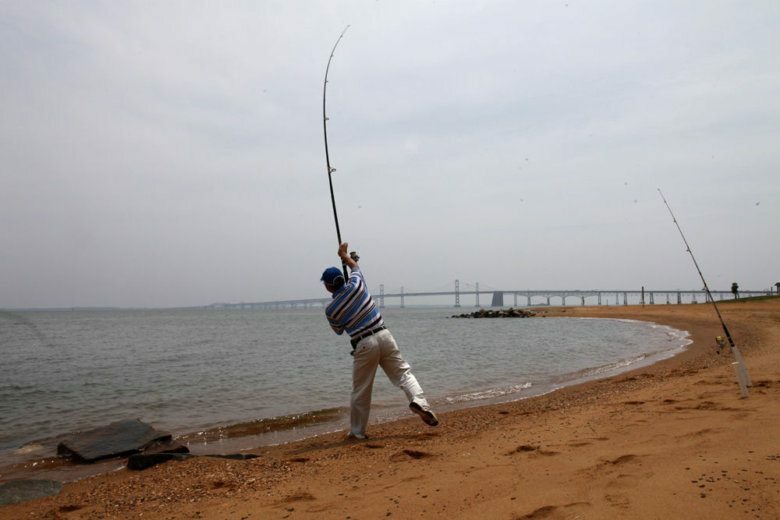 Virginia officials are considering an emergency proposal to cancel striped bass fishing season due to decreasing populations. Ellen Bolen, deputy commissioner of the Marine Resources Commission, said rockfish are overfished, which means they are being fished faster than they can reproduce. “The population is currently at an unsustainable level, and so we do need to take action to decrease the amount of fishing pressure on the stock to ensure we have fish both for today as well as for future generations of fishermen,” Bolen told WTOP. In the late 1980s, Virginia and Maryland enacted a total moratorium on fishing striped bass. This emergency proposal allows for fishing rockfish of smaller sizes, but it’s only the first step to boost the species’ population, Bolen said. Under the proposed regulation, fishermen will be allowed to catch rockfish between 20 to 28 inches in parts of Virginia. But since the stock assessment revealed that rockfish have been overfished for several years, the effort to restore their numbers will take collaboration with other states. Although this proposal is the first step in what the commission anticipates will be a process, the potential impacts on business will be considered in each step. “What the commission looks at as stewards of the resource in the long term is how to balance some of the short-term economic challenges with the long-term economic and ecological health of the fishery,” Bolen said. Officials propose the emergency regulation begins April 29. If the proposal is approved, a public hearing would be requested for May 28.